While others might tell stories claiming the world is without promise, Luke presents the narrative of Jesus Christ as good news, challenge, and hope. 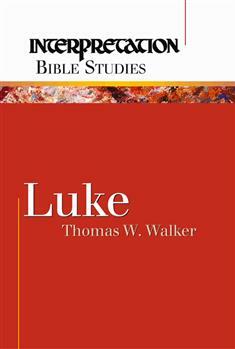 For Luke, this is the only story that makes sense of the past, offers guidance for the present, and secures hope for the future. Interpretation Bible Studies (IBS) offers solid biblical content in a creative study format. Forged in the tradition of the celebrated Interpretation commentary series, IBS makes the same depth of biblical insight available in a dynamic, flexible, and user-friendly resource. Designed for adults and older youth, IBS can be used in small groups, in church school classes, in large group presentations, or in personal study.